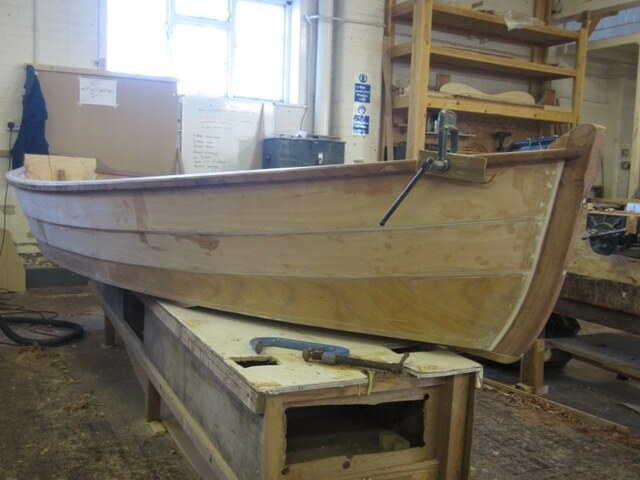 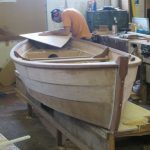 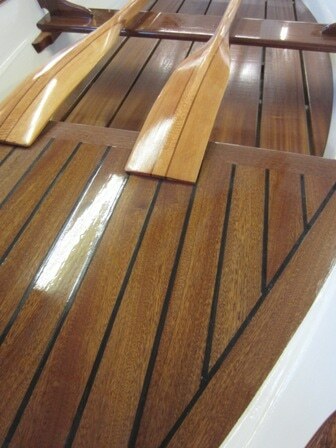 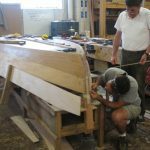 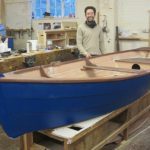 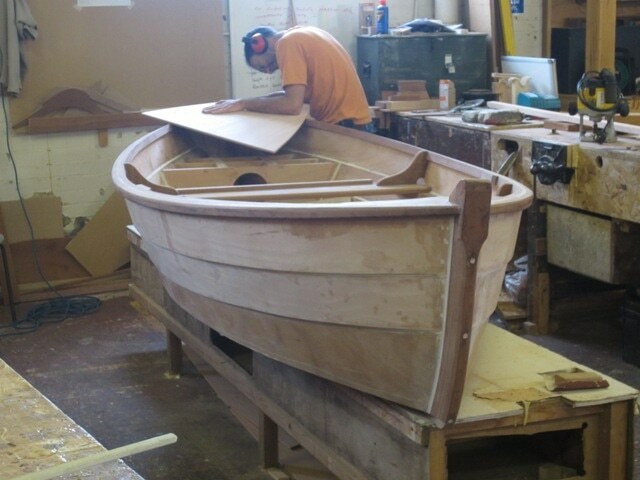 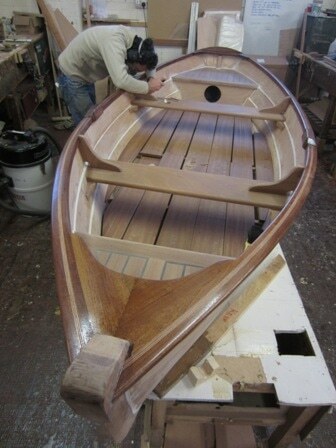 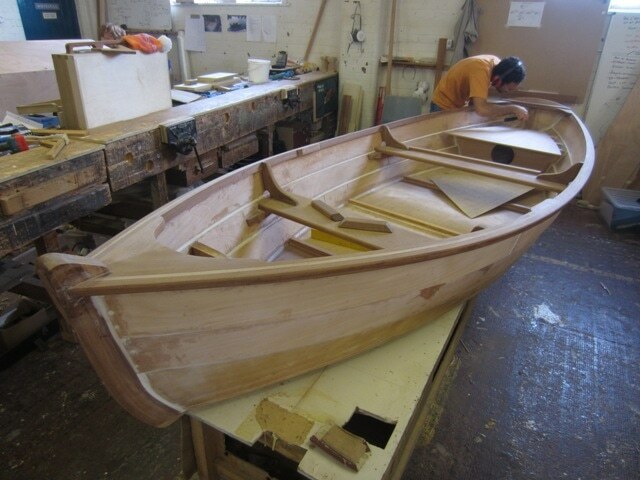 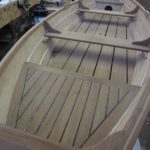 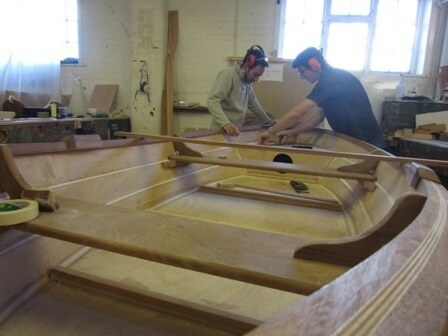 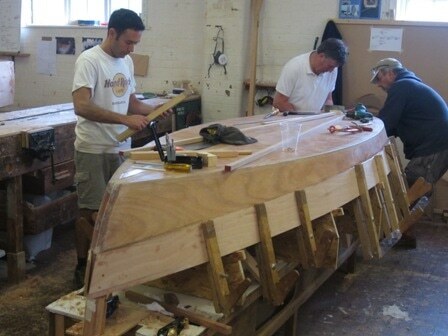 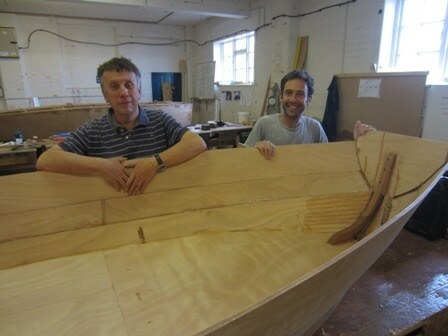 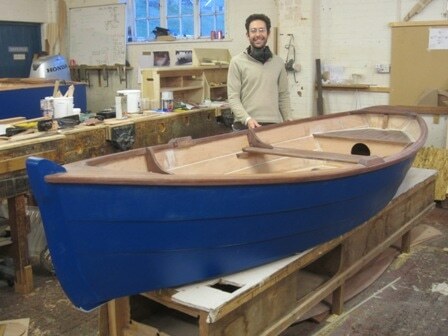 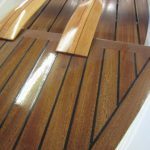 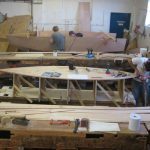 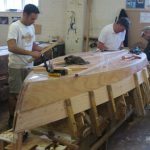 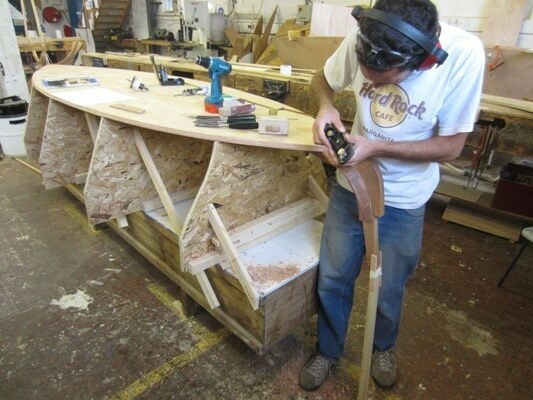 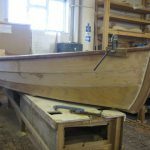 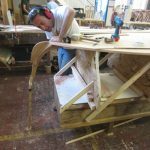 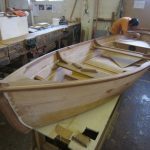 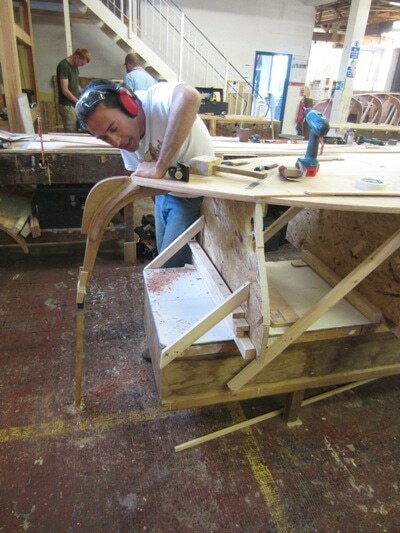 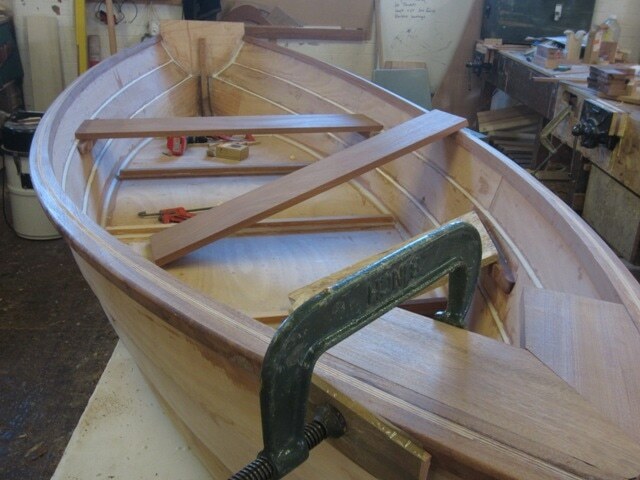 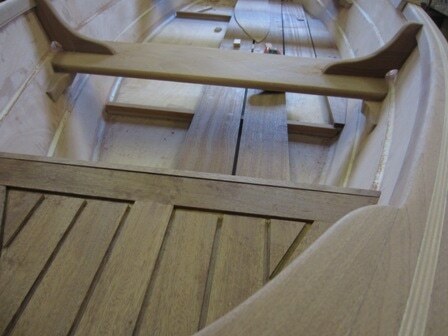 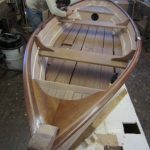 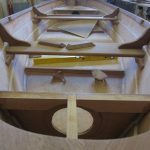 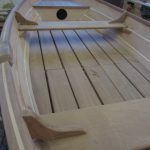 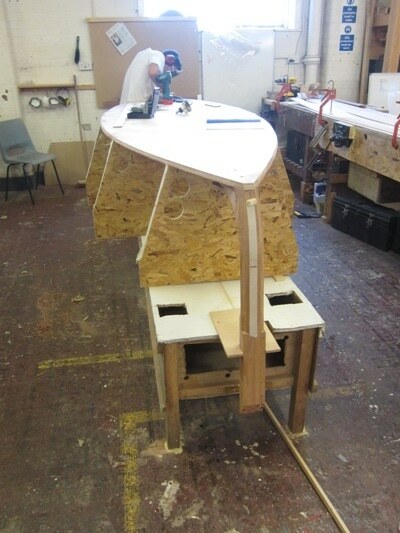 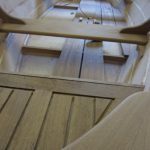 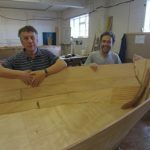 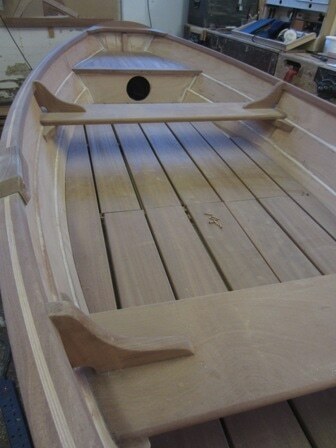 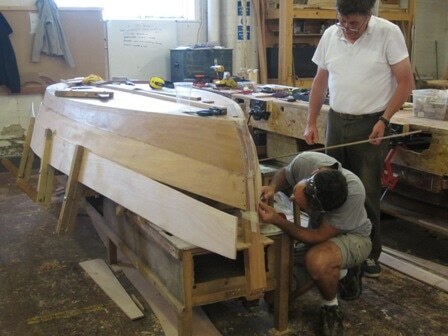 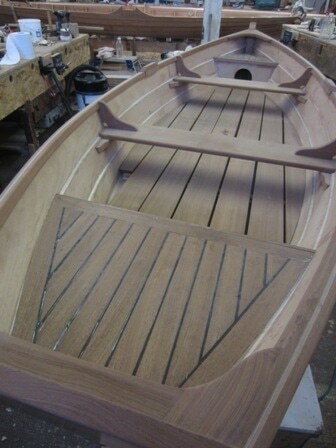 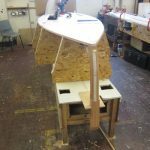 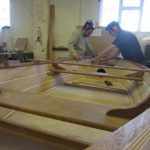 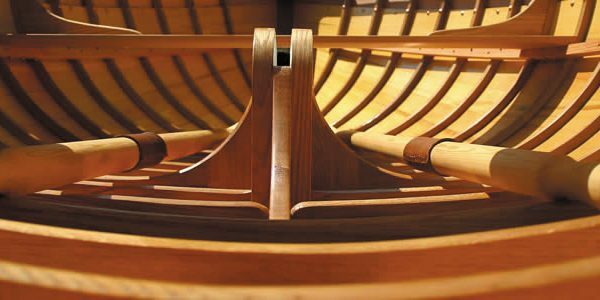 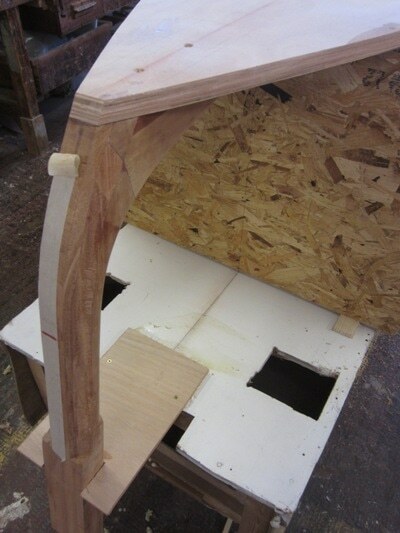 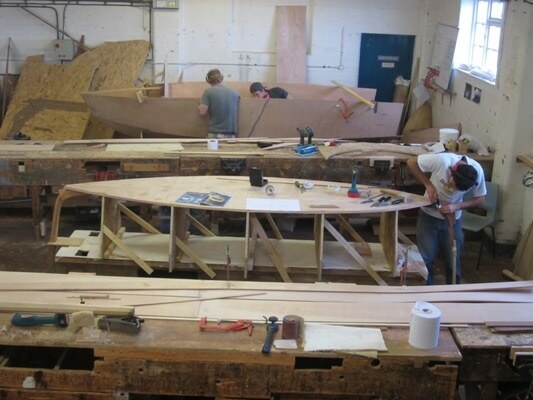 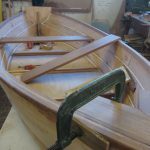 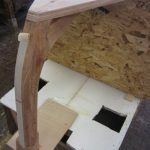 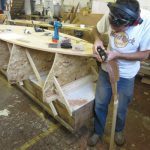 This glued clinker 12’ Fleet Trow is being built by Nigel Champan and Fred Faro. 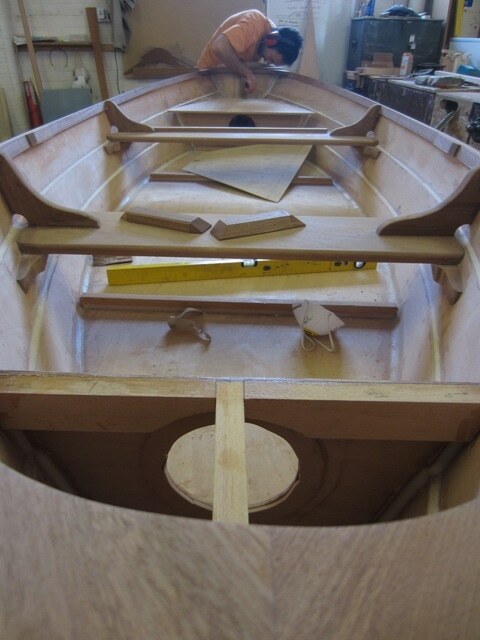 She has a khaya stem and will be planked in marine ply. 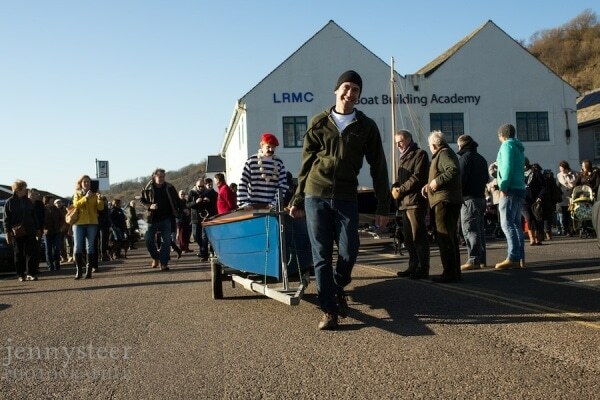 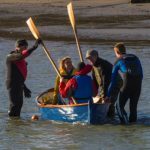 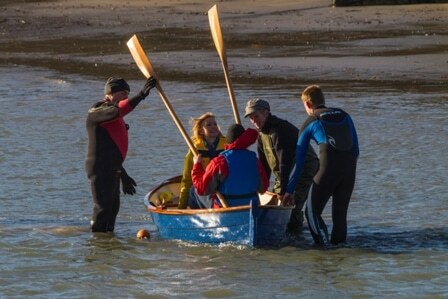 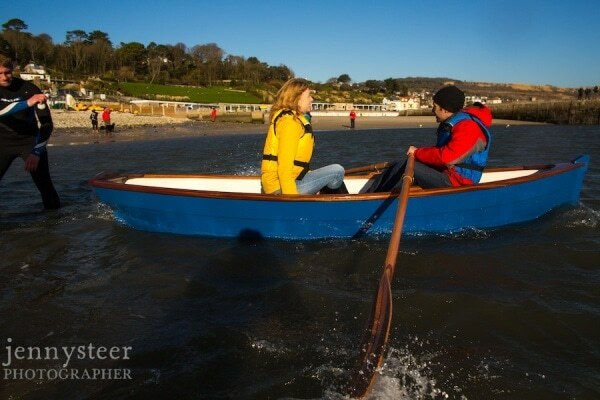 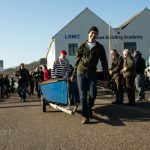 The Trow is a vessel local to the Academy in West Dorset being used on the Fleet – a lagoon located behind Chesil Beach. 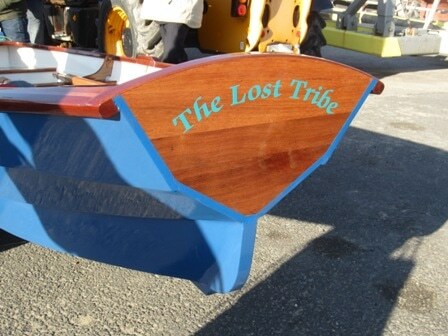 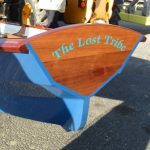 Here Fleet Trows are used to transport mackerel caught off Chesil Beach across to the mainland.